The environment was a big winner in the recently concluded 2016 General Assembly session. 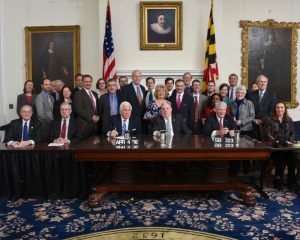 A proposal to establish more ambitious greenhouse gas reduction requirements – with a net economic benefit to Maryland – gained strong bipartisan support and was among the first of the session’s bills to be signed into law by Governor Hogan. A measure to improve the way our precious wetlands are protected also won support. And the legislature approved the Governor’s budget – which provides the resources to protect and strengthen Maryland’s standing as an environmental leader. These actions, and others, will help us continue to make environmental progress while greening and growing Maryland’s economy. Governor Hogan signs the Greenhouse Gas Emissions Reduction Act reauthorization into law. The Department of the Environment – as well as the Departments of Natural Resources, Agriculture, Transportation, General Services and Planning, and the Maryland Energy Administration — engaged in a collaborative process with the Maryland Commission on Climate Change that resulted in unanimous support for a new goal to reduce greenhouse gases by 40 percent by 2030 while strengthening links to the State’s economy and creating new jobs. This formed the basis for legislation that reauthorized the Greenhouse Gas Emissions Reduction Act. I testified in support of this legislation. The Nontidal Wetlands Mitigation Banking bill did not seem to get as much attention as some other environmental legislation. But it’s important, and I testified in support of it. A 1993 amendment to the Nontidal Wetlands Protection Act was meant to encourage the development of a wetlands mitigation banking sector in Maryland, but it isn’t working very well. This year’s legislation removes disincentives to the proper use of mitigation banks. You might be asking: What is a mitigation bank? Monie Bay and the Wicomico River. It’s a wetland restoration, enhancement or conservation area professionally managed and monitored to help the state meet its no net loss of wetlands goals. 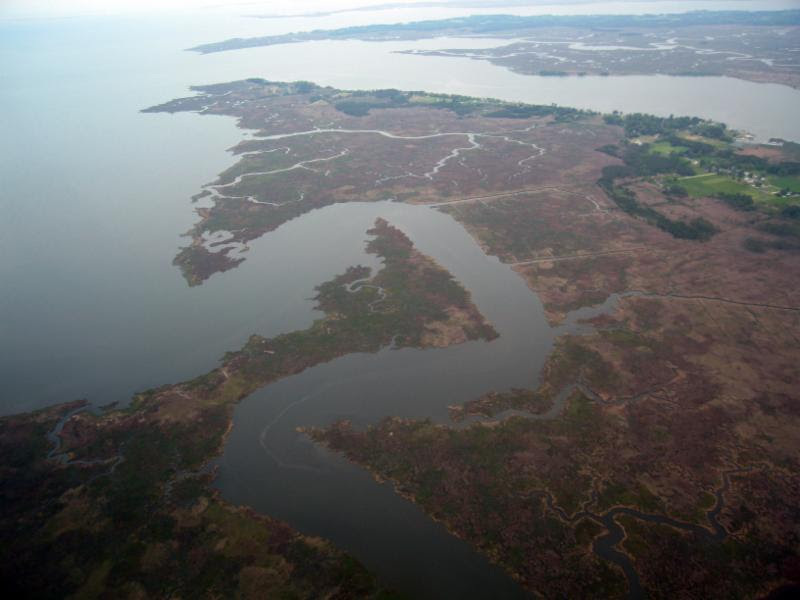 Unavoidable impacts to wetlands must be “mitigated” through projects that build new wetlands. Permit holders can meet this requirement by doing their own projects or by buying credits for work done by an approved mitigation bank. But a study showed that mitigation done by permit holders results in a patchwork of small, ecologically-isolated projects that are often less successful than larger projects promoted by a mitigation banking industry. Legislation was passed to require the Department of Natural Resources, in coordination with the University of Maryland Center for Environment Science, to conduct a study to determine sustainable oyster harvest rates. Under another approved bill the Bay Restoration Fund, which supports upgrades to major sewage treatment plants and helps pay for septic systems that remove pollution, can be used to provide financial assistance to low-income homeowners. An upgraded, nitrogen-removing septic system cuts a system’s nitrogen load at least in half – which is important to our Bay restoration efforts. Finally, no post-session wrap up is complete without a look at the budget that was passed. The Governor’s budget is boosting support for the Chesapeake Bay Trust Fund and Program Open Space. The Governor also signed House Bill 462, which returns $60 million over the next two fiscal years to Program Open Space. 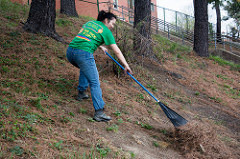 In addition to helping fund parks and conservation projects throughout the state, the bill also strengthens the program by increasing the annual Program Open Space funding for Baltimore City to $6 million, and it creates a repayment plan to restore funds that had been transferred into the general fund by previous administrations. The budget includes a $16.4 million initiative for an Energy-Water Infrastructure Program to reduce emissions and energy costs and increase efficiency and water quality (through combined heat and power projects and energy-related upgrades at wastewater treatment plants). It also includes $11 million to the Maryland Department of Agriculture for a new animal waste-to-energy program to promote the use of new strategies to manage animal waste, along with $34.5 million for renewable and clean energy programs and initiatives and $21.2 million for energy efficiency and conservation programs at the Maryland Energy Administration. The budget also increases funding to the Departments of the Environment and Natural Resources. None of this progress would be possible without teamwork and collaboration – including bipartisan support within the legislature. 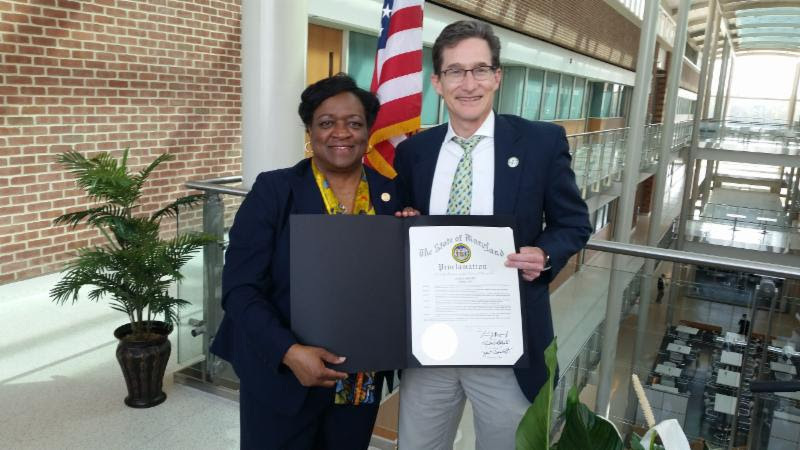 I look forward to continuing to work closely with environmental advocates, the business community and others to accelerate environmental progress in Maryland while maintaining our economic competitiveness. What are your thoughts? Please share them by contacting Ben at editor.mde@maryland.gov. The Conowingo dam has put the Susquehanna River back on American Rivers’ list of the most endangered rivers in the United States. 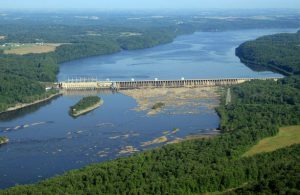 Prompted by the listing, environmentalists and Hogan administration officials joined in voicing their concerns about the impact of the Maryland dam on the Chesapeake Bay – and about pending federal legislation that would strip states of leverage in dealing with pollution from such facilities. 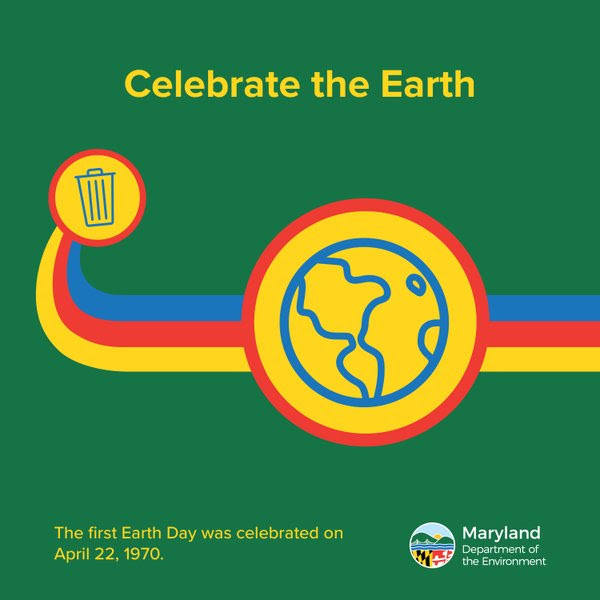 The Maryland Department of the Environment has marked Earth Month with a series of events. The Department has been out helping to raise environmental awareness throughout the month at festivals and fairs. We helped teach kids about air quality at the National Aquarium’s Weather+Climate Day. We set up our Scoop the Poop exhibit at the Quiet Waters Earth Day festival. 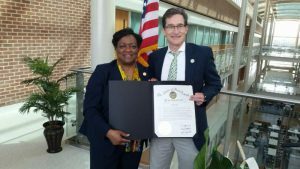 Deputy Secretary Mary Beth Tung presented Governor Hogan’s Earth Month proclamation at the Howard County GreenFest. 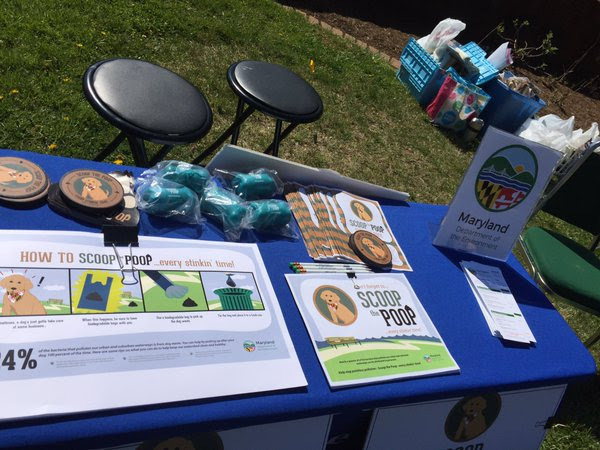 We also helped celebrate with our friends at the Maryland Motor Vehicle Administration and the Maryland Transportation Authority, and we participated in Earth Day festivities in Aberdeen and Chestertown. Join us Saturday at the Montgomery County GreenFest and on May 7 at the Boonsboro Green Fest. Secretary Grumbles and students with waste-free lunches. We brought our “Waste-free Lunch Challenge” to Churchville Elementary School in Harford County. The Waste-Free Challenge encourages students to avoid packing lunches that create waste that cannot be recycled or composted. 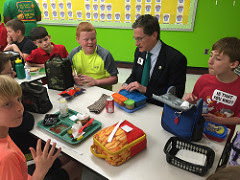 Secretary Grumbles had lunch with the students and discussed the three R’s – reduce, reuse and recycle – and how the students and parents can implement these practices when preparing their lunch. 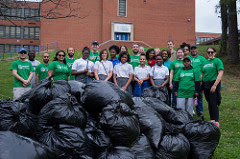 Department employees went to the Lillie May Carroll Jackson Charter School in the Mid-Govans neighborhood of Baltimore City and, along with students, staff and community volunteers, cleaned up trash and removed pine needles that have caused hazardous brush fires on the school grounds. Secretary Grumbles visited the University of Maryland Eastern Shore to see the school’s green initiatives. His tour began with an introduction by University President Juliette B. Bell to her senior staff in the recently opened 166,000 square-foot Engineering and Aviation Science Complex with its many environmentally sensitive design elements. From the new building’s third floor, he had a chance to see UMES’ 17-acre solar energy collection grid. He met with professors in the School of Agriculture and Natural Sciences, who oversee research into areas like food contamination and curtailing the impact of nutrients from farm fields affecting water quality. The tour then headed to the university’s oyster research program, where Secretary Grumbles chatted with graduate students and professors. Before leaving, he joined university leaders in a ceremonial planting of a white oak sapling in front of the new building. 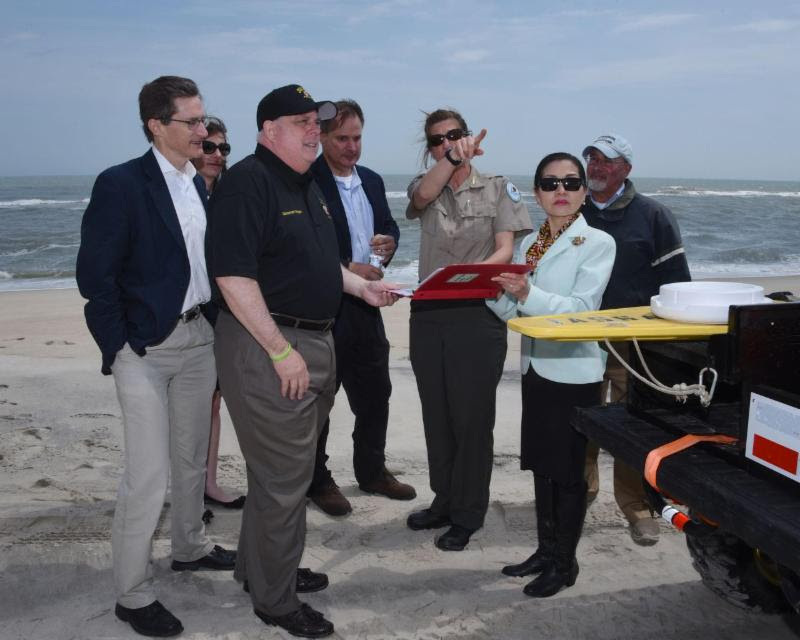 Secretary Grumbles joined Governor Larry Hogan and Natural Resources Secretary Mark Belton for an Earth Day celebration that included a tour of Assateague State Park. The Governor announced the Maryland Park Service will partner with the National Park Service’s “Every Kid in a Park” program by allowing complimentary admission to state parks to fourth grade students and their families. The Governor then reviewed ongoing reconstruction projects that followed Winter Storm Jonas. The state has rebuilt a sand dune, planted additional beach grasses and plans to erect new fencing along the shore of the environmentally sensitive barrier island. Secretary Grumbles assisted Governor Hogan in the presentation of a citation to the Friends of Assateague State Park for their cleanup efforts. 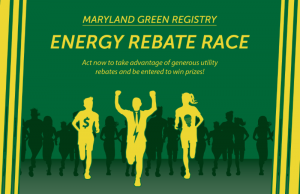 Has your organization taken advantage of the generous rebates and services offered by Maryland utility companies? 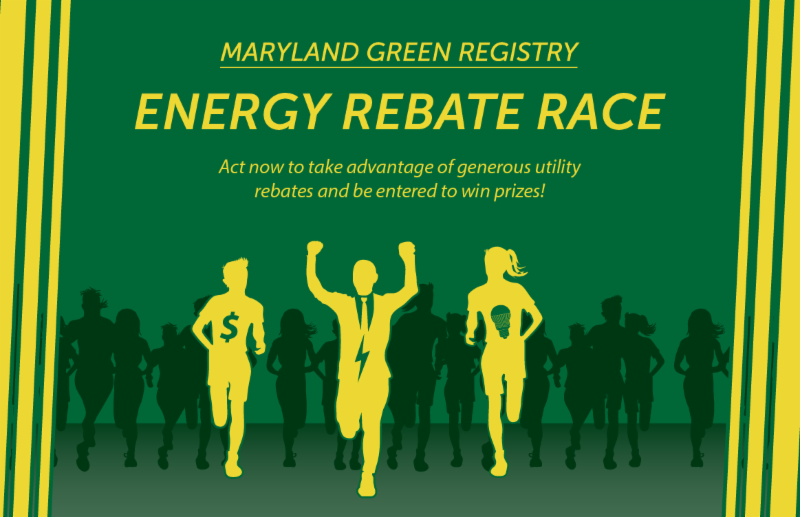 If so, let the Maryland Green Registry know and your organization will be entered into a prize drawing. If not, now is the time to check with your utility company to learn how easy it is to participate. The Maryland Department of the Environment is now accepting applications for the 2016 Environmental Science Student Award and Internship Program. The award recognizes high school seniors who have excelled in environmental science both inside and outside the classroom. Students who have demonstrated extraordinary leadership and participation in environmental projects in school or their community such as recycling drives, school beautification projects, stream or litter cleanups and other types of environmental projects are encouraged to apply. The grand prize winner will receive a paid internship at the Department of the Environment during summer 2016 (valued at about $3,000). The second-place winner will receive $500 and the third-place winner will receive $250. All three will receive a certificate for their efforts. The deadline for nominations is May 1, 2016. Application forms and instructions are available on the Department’s website and may be submitted by email to Nadine.Jackson-Bey@maryland.gov or by mail to: Maryland Department of the Environment, Office of Human Resources, 1800 Washington Boulevard, 5th Floor, Baltimore MD 21230, Attention: Nadine Jackson-Bey. Winners will be notified via email and U.S. Postal Service on or before June 1, 2016. We’re always looking for ways to make eMDE even better. Here’s a chance to tell us what you think. Have some thoughts on what we can do better or things you’d like to see more of? An idea for a specific story? We want to hear from you. Contact us!